Nostalgia and whimsy are really underrated, as are children's toys. The smallest thing can make a child ecstatic with happiness. Last summer my mother and father were invited to dinner at an old friend's home. Their friend and his beautiful wife are now the parents of two young children. My parent's, who adore children, came to the party with gifts for the kids. Upon opening her present the little girl screamed with delight and a slight stutter brought on by sheer excitement, "It's ponies!!! Ppppponies!!!!!!!" If only adults could be so lucky. However, even though My Little Ponies may not elicit the same response as they did way back when, it's still nice to indulge now and then in a purchase that reminds us of being a kid. 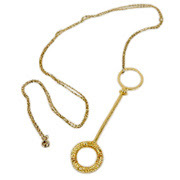 I think that this Bubble Blower necklace by Cynthia Rowley is chic enough to wear out to brunch at Paradou but is still whimsical. 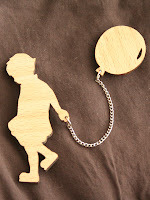 Also, this Boy With A Balloon Brooch by Allira Tee has a hip sensibility but simultaneously reminds me of The Red Balloon, one of my favorite books from childhood. It's nice to have a little respite from adulthood now and then.